The nose is one of the most prominent features of the face. It is essential for facial harmony and, for many people, a positive self-image. 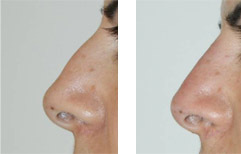 For men and women frustrated by the appearance of their nose, dramatic improvement can often be accomplished with nose surgery (rhinoplasty); however simple injections can achieve attractive results for many patients. Fillers such as Hyaluronic Acid injectable gel and Calcium Hydroxylapatite are FDA-approved and can be used for nose reshaping. When expertly used fillers can help rebuild the bridge, refine the results of nose surgery (filling in small defects), correct asymmetry and concavities, add dimension or improve the shape of a flat tip, and smooth or straighten the nasal hump. The results are natural-looking, visible immediately soon after the procedure, and last 6-15 months depending on the product used.This non-surgical rhinoplasty has many advantages; except for minor temporary bruising and swelling, no downtime is required after the procedure. Patients will need to return approximately every 6-12 months for touch-up treatments. Fillers cannot narrow cartilage or reduce the size of the nose, or help breathing problems. 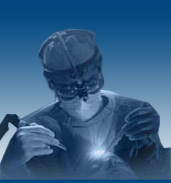 The procedure is reversible when Hyaluronic acid is used. If a patient is unsatisfied for any reason, a special enzyme known as "Hyaluronidase" can be injected into the treatment area within the first 24 hours and immediately dissolves Hyaluronic acid fillers. 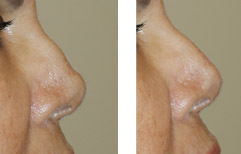 Botulinum Toxin is also regularly used in the nose to help reduce “bunny lines” at the root of the nose, or elevate the nasal tip when it is droopy. Other injections can be useful to thin down the fatty sides of the nose.